If you want to understand how the new GOP tax bill will affect you, read these tips on how to lower your tax liability and maximize your tax refund. Then, take the necessary steps to make sure you’re taking full advantage. As the age-old saying goes: There are only two certainties in life—death and taxes. While we can't help you deal with the first one, we most certainly can help you better understand the second. Now, understanding federal tax laws and working with them to get the best results possible isn't exactly easy. But knowing the right way of handling taxes can prove useful towards achieving your long-term goals. 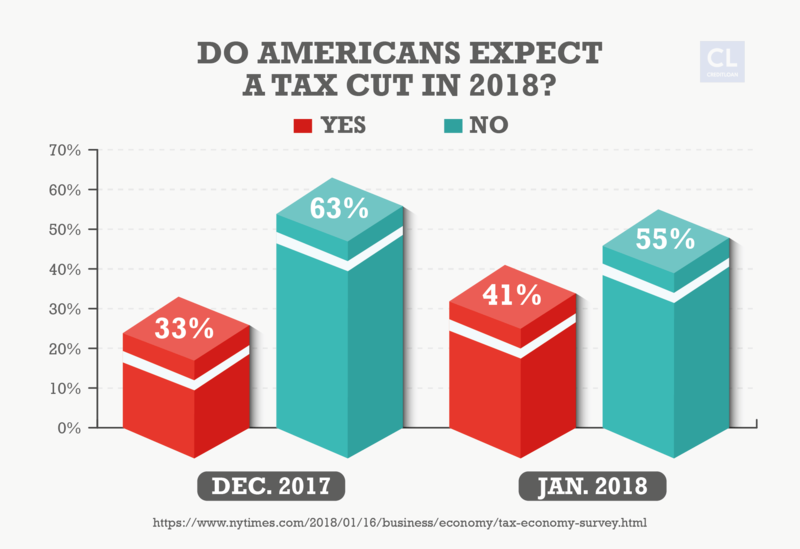 Unfortunately, the GOP may have inadvertently added another dash of confusion to the process when late last year their new tax plan was signed into law, which changed the entire tax structure. It'll substantially change how you file taxes and, therefore, how to maximize your tax refund. For the most part, the tax reform bill won't affect your tax returns this year, but you will soon begin to notice some of the changes that have been put in place. 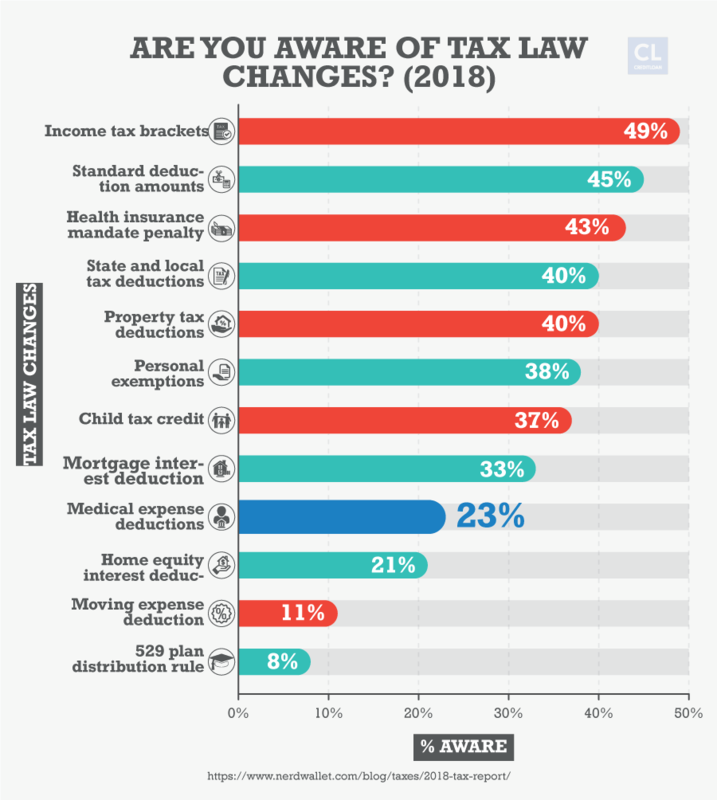 You may have heard that the new tax codes were intended to benefit only the rich, but in reality, the plan does offer the everyday taxpayer ways to decrease their taxable income and maximize their refund. If you want to keep more of your hard-earned money but don't know how to ideally approach the filing of your tax returns, there are a few simple tricks we'd like to share that might be helpful. Here at CreditLoan, we care for our readers and our customers, and we show it by offering the most valuable content online for financial consumers, along with the tools they need to build a better financial life. So, we did our research and compiled a list of the different ways you can save on your taxes without experiencing the hassle. And we assure you, it's never been so easy. With this being our goal, we urge you to keep in mind that the new tax plan is a constantly moving target. So, you'll need to do your research to make sure you're making decisions based on the latest developments. If you find you still have questions or concerns, we hope the information in this article empowers you to reach out to a tax professional and ask the right questions. A tax bracket is a grouping system based on your income. 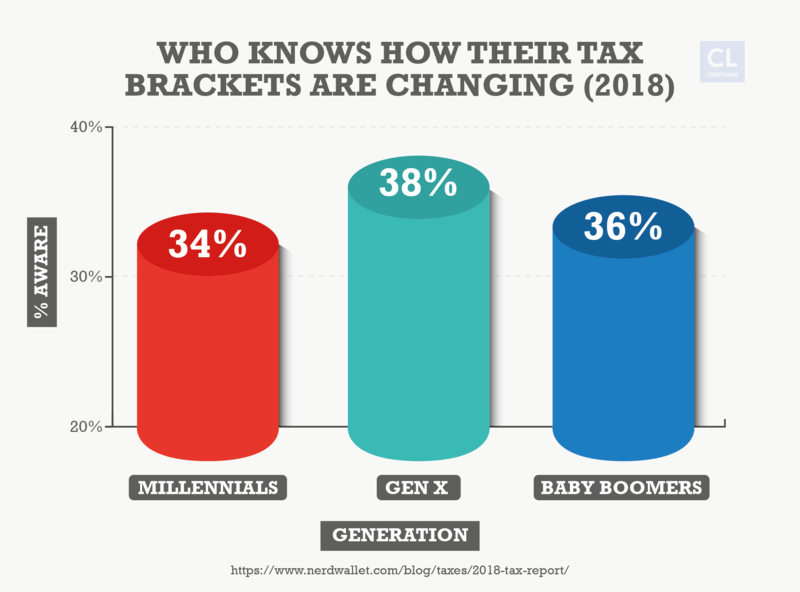 Each tax bracket, or group, is taxed at a different percentage (known as your tax rate), and increases as your income grows. You can see how much you're taxed by using a paycheck calculator. The GOP tax plan changed how much each tax bracket is taxed, and that change took effect on January 1st, 2018. Workers can see the effect in the withholdings of their paychecks as soon as February, as announced by the IRS. All income groups will receive a cut in their 2018 taxes to the tune of around $1,600, according to the nonpartisan Tax Policy Center. You can save yourself money on taxes with deductions, which are affected by your tax rate. Deductions are a way to subtract certain items from your income to lower the amount you have to pay in taxes and, hopefully, increase your tax refund. If you're able to deduct $1,000 in medical expenses from your total taxable income, and you fall into the 24% tax bracket, that would save you $240 in taxes. But if you fall into the 12% tax bracket, you'd save just $120. While even the tax experts aren't certain of all the effects the tax plan will have on filings, there are some changes to the tax codes and processes that you should immediately be aware of when filing your taxes in the near future. How you fill out your tax return form—the deductions you choose, loopholes you take advantage of, etc.—will change how much you owe in taxes. So it's definitely important to know the ins and outs of the new tax plan. If you follow these simple tips, you should be able to maximize your tax refund. One of the more notable changes under the new tax law is the repeal of the individual mandate for health insurance. The individual mandate was put in place by the Affordable Care Act (aka Obamacare) and meant that if you did not purchase health insurance during a specific year, you would have to pay a fine when you file your taxes. What's important to note is that this change takes effect in 2019. So if you fail to purchase health insurance in 2018, you're still on the hook for a fine when filing in 2019. Something that does affect you immediately is the change to medical expense deductions. Past expenses can be deducted now. The new tax code by the GOP increases the amount you can deduct for two years—and it's retroactive to 2017. More expenses can be deducted. The new tax law is especially good for households and individuals with high amounts of unreimbursed medical expenses relative to their income. Before the passage of the tax reform bill, only medical expenses that exceeded 10% of adjusted gross income (the amount you owe taxes on after all deductions have been made) qualified for the deduction. Now, for the next two years, that threshold is 7.5%. While that seems minor, this small difference adds up to big changes to what you may have to pay in taxes. As a husband and father, I could say that the well-being and health of my wife and kids are of paramount importance to me personally. That means, just like you, I'd spare no expense in making sure they get the medical treatment they need. And that means a potential for huge medical bills and related expenses. Let's say you're married with two children, and your adjusted gross income is $75,000. Over the course of a year, let's assume you had to pay a total of $9,000 in out-of-pocket medical expenses to take care of all your family's illnesses and health concerns. If we were still operating under the old tax code with a 10% threshold, you would've only been able to deduct medical expenses for anything greater than $7,500. So, if you had $9,000 in medical expenses, you could only deduct $1,500. Now, under the new tax law's lowered threshold, you can deduct anything over $5,625. Because you paid $9,000 total, you would be able to deduct $3,375 from your taxable income—that's almost twice the deduction as previously possible. And if you can make the most of your deductions, you can help maximize your tax refund. Limited time to make use of this deduction. It should be noted, though, that this benefit may only be of use during this year's filings. That's because to benefit from the medical-expense deduction, you'd have to itemize your deductions. The new tax bill, though, increases the standard deduction (see our next tip below), meaning the medical expense deduction would be less effective in lowering what you owe. The tax system provides you with a choice: either add up all of your expenses—and provide the IRS proof of those expenses—or simply deduct a flat amount, no questions asked. That flat amount is known as the standard deduction. 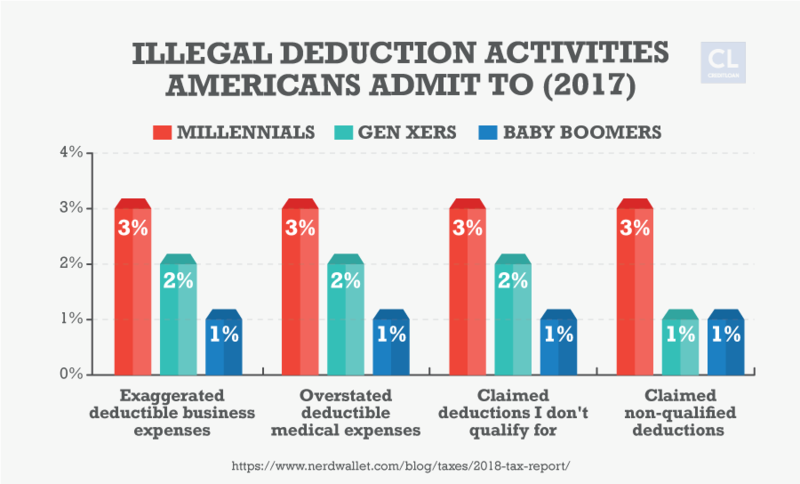 Unless you're making sizable donations and are writing off a lot of medical expenses that would make itemizing necessary, then your best bet would be to opt for the standard deduction. That's because, under the new tax code, the standard deduction for individuals and couples significantly increases, making the threshold where itemizing makes sense almost unreachable. Less bookkeeping and mistakes. If you itemize deductions, you better have proof—receipts, medical bills, etc. If you're audited by the IRS (a review of your accounts and financial information to ensure you're complying) and you don't have proof of deductions you made, that can lead to serious fines and penalties. Taking the standard deduction eliminates that worry. It also helps avoid mistakes. For instance, say you paid $9,500 in medical expenses, but while filling out your return you mistakenly write in $8,500. That's now $1,000 more that you'll have to pay tax on. Easily lower your taxable income. Unless you're extremely charitable, it's unlikely that your expenses are going to add up close to the $12,000 of the standard individual deduction. But now, every taxpayer can automatically lower their taxable income by $12,000. So, if your total income for the year is $58,000, your taxable income would only be $46,000. Instead of paying $12,760 in taxes (as you'd fall in the 22% tax bracket), you'd owe $2,000 less at $10,120. In other words, if you take advantage of the standard deduction, you can significantly—and easily—lower your taxable income and maximize your potential return. Those who still opt to itemize their tax returns instead of taking the standard deduction need to be aware of changes in deductions and tax credits that will affect their filings. The student loan deduction is still in place. Anyone paying off student loans can make a deduction of up to $2,500 in interest payments. Notice that says "interest payments." Let's say that, adding all of your student loan payments together, you paid $7,500. If, according to your Form 1040 (the tax form your loan provider will provide you each tax season), $3,300 of that total went towards the interest on the loans, you can still only deduct $2,500. You should shop around for students loans—or, potentially, refinancing options—to make sure you're not overpaying in interest. Other deductions, however, have been altered or eliminated altogether. Severe limits to insurance deductions. 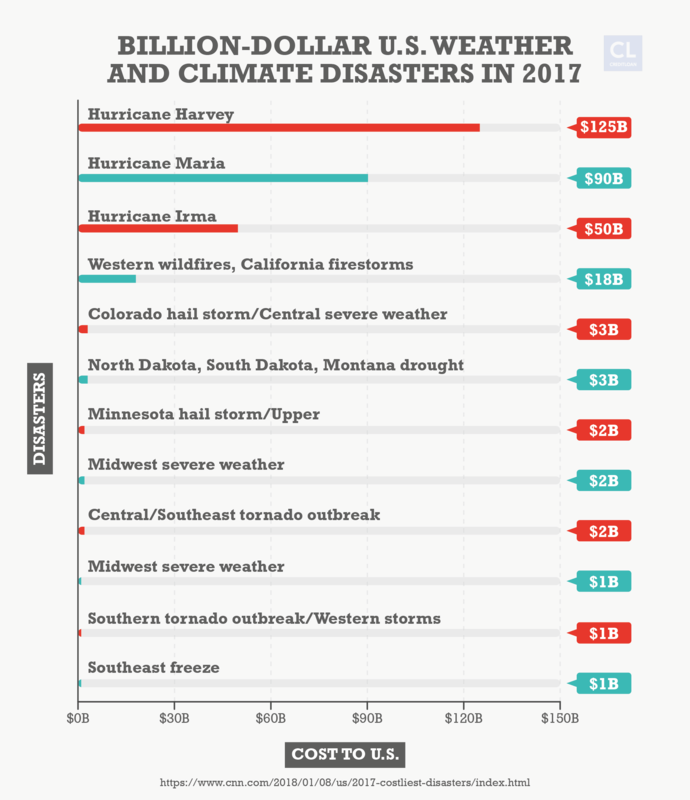 Payments made against casualty and theft losses can no longer be deducted unless they are related to a loss in a federally declared disaster area (we're talking hurricanes, wildfires, floods, etc.). Several deductions were eliminated. Deductions that were removed from the tax code include the cost of tax preparation, investment fees, unreimbursed job expenses, and moving expenses. Drastic changes to property taxes. Perhaps the largest change, though, is the change to how state and local taxes can be deducted. Under current tax rules, state and local taxes (SALT) deductions are unlimited. Married couples are also limited to just $10,000 ($5,000 each if filing separately). Currently, nearly half of U.S. homes are worth itemizing—but under the legislation, that would shrink to 14% because of the lost tax breaks, according to a study by real estate company Zillow and reported by CBS. This will most severely impact taxpayers who live in states like California and New York, which have higher property tax rates than most other states. Expanded child tax credits. Child tax credits have doubled: from $1,000 to $2,000 under the new law, and are limited to children under 17 years old. These credits have also been expanded to higher-earning individuals and families. Under current tax law, if you're making more than $75,000 as an individual or $110,000 as a couple, you can't claim the child tax credit. But now, those thresholds are going to increase significantly: up to $200,000 for individuals and $400,000 for couples filing jointly. A tax credit will reduce your overall tax bill, therefore cutting the amount you owe Uncle Sam. So under the new tax code, a child can cut your bill by $2,000. The new bill also increases how much of that is tax refundable up to $1,400, which means that if the credit is more than you actually owe, you can still receive a refund of up to $1,400. Since this is a refundable credit, you can take advantage of it even if you owe nothing in taxes. Under the new tax code, the refundable portion is equal to 15% of your earned income that exceeds $2,500 up to the maximum credit. Here's an example: Say you earned $10,000 in income and you take the $2,000 tax credit. At that income level, it's likely that you don't owe taxes. With the refundable piece of the credit, you can add $1,125 to your wallet ($10,000 minus ($2,500 x 15%) = $1,125). If you're a freelancer who works as an independent contractor or if you own a small business, you could benefit greatly by setting yourself up as what's known as a pass-through business. These types of businesses include sole proprietorships, S corporations, partnerships and LLCs. The benefit: a reduction in your personal overall tax liability. Under the new tax law, pass-through business owners will be able to deduct 20% of their business income. This would, most likely, set you up in a lower tax bracket and potentially lead to a higher tax refund. Say, for example, you're a freelancer who made $85,000 over the year. That would land you in the 24% tax bracket. If you were to set up an LLC, instead, you could deduct 20% of your income. In other words, you could deduct $17,000 from your overall tax liability. Instead of paying a total of $20,400 overall in taxes in the 24% tax bracket, setting up a pass-through business could significantly lower your liability. Your taxable income would be lowered to $68,000, which would put you in the 22% tax bracket. That means you'd be liable for $14,960 instead of more than $20,000. Note, though, that this isn't for everyone. Those working in a professional-services business, including lawyers, doctors, and consultants, and earning more than $157,500 and filing as an individual or $315,000 filing jointly, can't file in such a manner. In the simplest of terms, a 529 plan acts as a bucket for you to fill and from which you can pour money into college tuition and other higher education-related expenses. Instead of setting up prepaid college plans for my kids, we chose to go the 529 plan route. 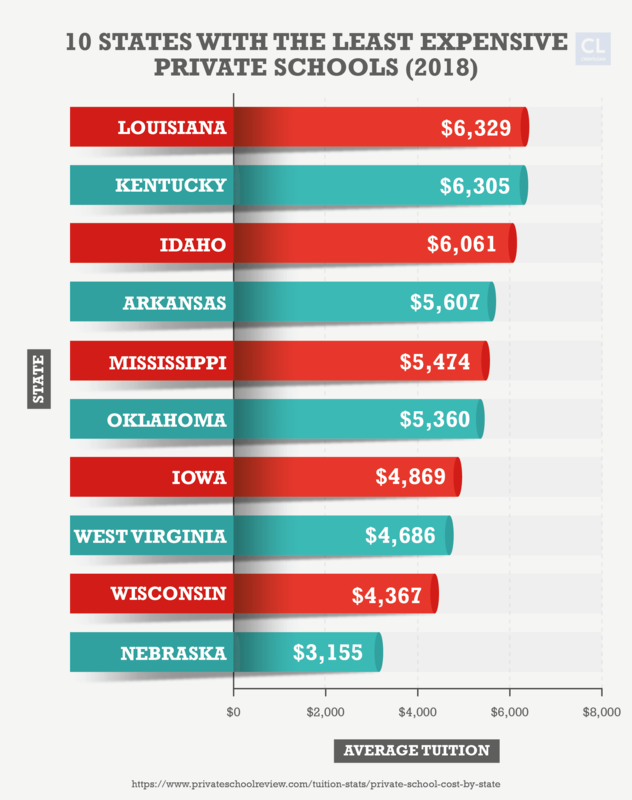 Our kids won't be limited to a certain state for college, and the money can be used for housing or living expenses while enrolled in college. But, flexibility is not the only benefit. The biggest benefit is, up to a certain extent, the IRS cannot tax the funds you put into this bucket. The threshold for tax-free 529 funds is set at $10,000 but is currently only limited to higher education expenses. Under the new tax bill, though, they've expanded the definition of a 529 plan, allowing for parents to use this type of plan to help pay for K-12 education tuition at private schools and other related educational materials and tutoring. Other than the tax-free nature of 529 plans, many states offer tax benefits for contributions to a 529 plan, including deducting contributions from state income tax or matching grants. This isn't a new aspect of the tax plan, but still an important one. Even if you don't have children under 17 years of age, you can still claim dependents. If you're responsible for college-aged kids or elderly family members, you can claim a non-refundable tax credit of $500 per individual. While this isn't a huge benefit, the more you can lower your tax burden, the more you can increase your potential tax refund. Yes, when it comes to taxes, everyone "has to pay their fair share," as the talking heads like to say. But, if you learn the tax code and how to use it to your advantage, you can whittle down that share significantly. If you follow a few simple tips, you can limit what you pay in taxes and significantly increase the size of your refund check, putting you in better financial health. Lower your overall tax liability by making use of the right tax deductions. Pay less in overall taxes through the course of the year. Maximize your eventual tax refund. Do you see any tax refund tips we've missed?